Welcome to Sundial Mini Storage and Industrial Mall. We rent inside and outside storage spaces as well as lease industrial space. See our current tenant list on the Sundial Industrial Mall page! Sundial Mini Storage and Industrial Mall, located in beautiful Orillia, Ontario, has been an owner-operated business for over 20 years. We provide Industrial space for small business and an assortment of self storage spaces, as well as outside storage. Whether it’s your personal treasures or your boat, car or RV, we can safely and securely store your possessions. We are serious about keeping your belongings secure in your absence. Our facility includes inside and outside video surveillance cameras, and card-only access to our fenced-in storage compound. We also offer easy access drive up-style units! offering you great service at a fair price. Our on-site manager is available to answer your questions. To contact us, click here. Daren Young has over 20 years' experience in customer relations; some previously in the construction industry. His dedication to personalized service and quality control is demonstrated by the many hats Daren wears around the site. He not only handles the rental front desk and accounting tasks, he also handles lawn care and maintenance for the facility. 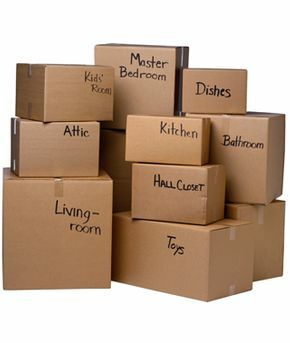 We have a variety of storage unit sizes to choose from - big or small, we have room to store it all!